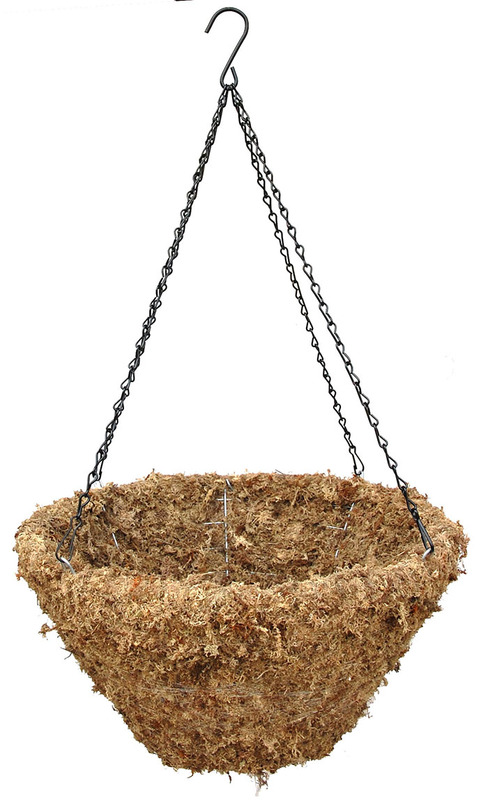 Sphagnum moss hanging basket - 16"
Home > SPHAGNUM MOSS HANGING BASKETS > Sphagnum moss hanging basket - 16"
Hand applied 1.5" thick layer of compressed sphagnum moss to the outside of a wire basket. This basket is 8" deep. Black chain hanger included with the planter. Please let us know if you rather have dark green wire hanger. Shipped with standard rigid wire hanger. Please specify for other type of hanger in time of ordering.